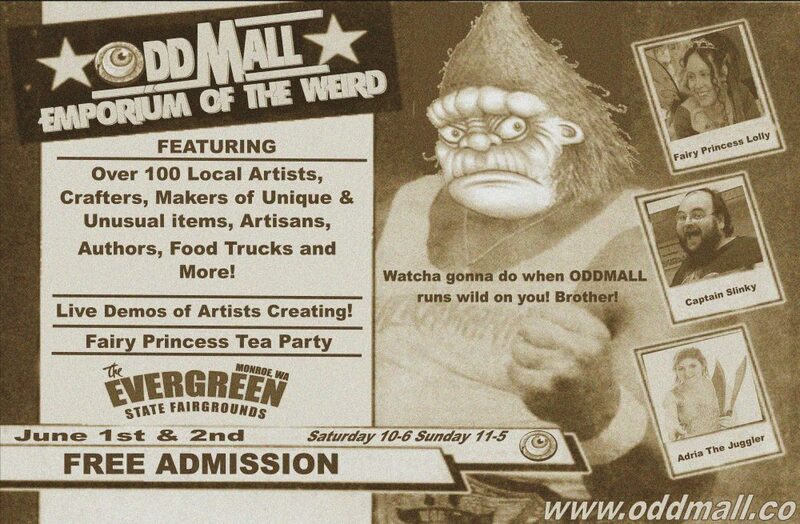 Want to share a booth at Oddmall? Now you can! 1/2 table size available now! Spots 124 – 131 are now shared spots. Basically you will each get 1/2 of a 6′ x 3′ table (Table included!) and 1 chair for each of you. The cost for this is $150 for each spot. The map has been updated to reflect this change.